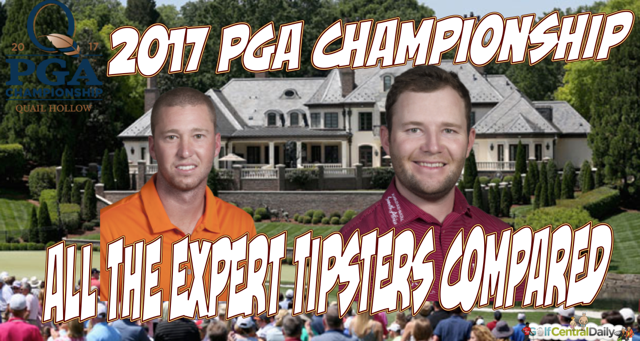 I've put my neck on the block with my 2017 PGA Championship Betting Preview and Tips (with special guest punter Rob Taylor) but who do all the other tipsters fancy? Here's a nice roadmap with links. Andy Taylor does a solid betting preview in The Sun and goes for Fowler, Casey, Berger and Zach Johnson. Ben Coley does an expert job for Sporting Life and also tips Zach Johnson, but his top tip is Branden Grace who he thinks is overpriced at 80/1. The Wolf knows his onions and goes for Rickie Fowler and popular outsider Daniel Berger along with some good alternative bets. Niall Lyons for Oddschecker goes safe with Rory and Rickie but also goes for Grace. Ralfie for OLBG also goes for Berger, but tips Charley Hoffman at odds and has some good suggestions for first round leader and more. Johnny Houston for BeforeYouBet sticks with the favourites Rory, Rickie and Brooks but like Ben Coley fancies Gary Woodland as a 100/1 outsider. Steve Bamford has a comprehensive 18 minute YouTube video for his Golf Betting System. Chris Cutmore in the Daily Mail gives the odds on all the main contenders in his piece. Is he tipping them all? ?